In the past ten years, Jaime Hayon (b. 1974) has emerged as an artist-designer at the forefront of an energetic new wave in contemporary design. The Spanish artist-designer’s travels around the world and into his imagination inform his designs—colorful and whimsical sculptures, ceramics, textiles, and playground equipment. Jaime Hayon: Technicolor allows visitors to enter the Spanish artist-designer’s vibrant world and find inspiration in his embrace of imagination. This exhibition includes the premiere of Afrikando, a collection of artistic glassworks commissioned for the Museum. 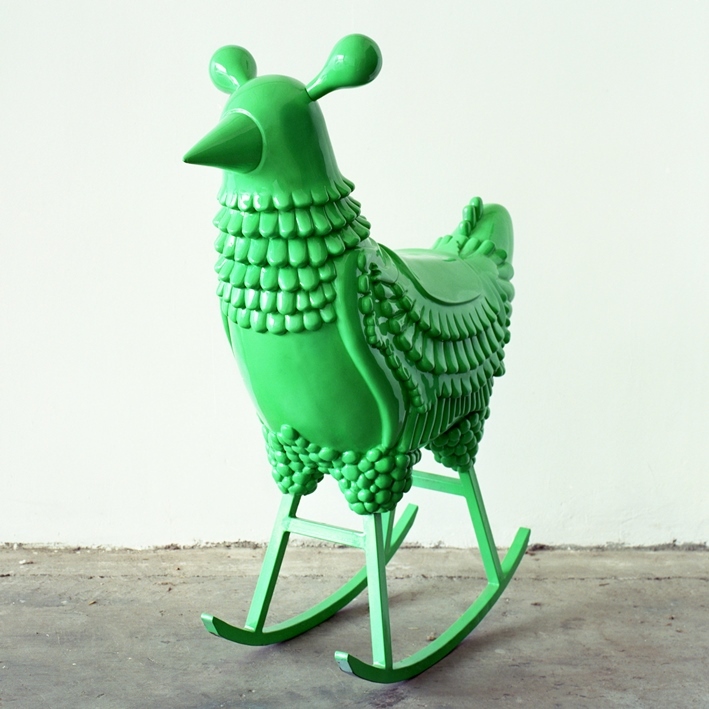 Image: Jaime Hayon, designer, Green Chicken, 2008, lacquered fiberglass with metal base. High Museum of Art, Atlanta, purchase with funds from the Decorative Arts Acquisition Trust, 2015.6.